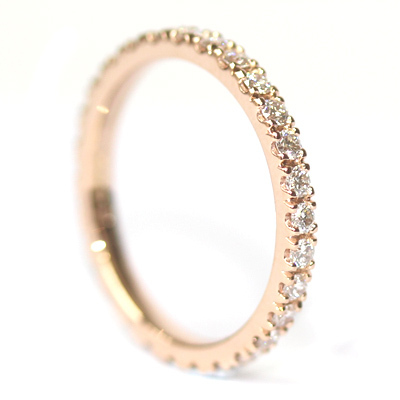 Rose Gold Fully Diamond Set Eternity Ring — Form Bespoke Jewellers Ltd.
A beautiful fully diamond set eternity ring, cast in rose gold. 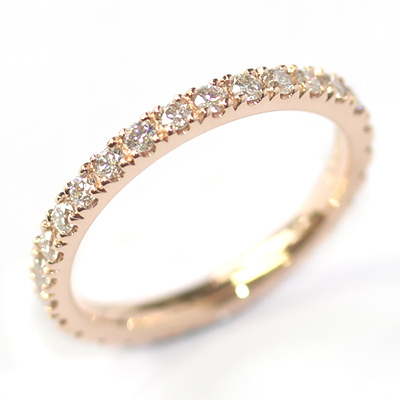 This eternity ring was chosen by the customer to match their partner’s existing jewellery and its a real sparkler! Hand set around the entire band are matching round brilliant cut diamonds. With the same carat, colour and clarity, they provide a flawless sparkle to the piece. 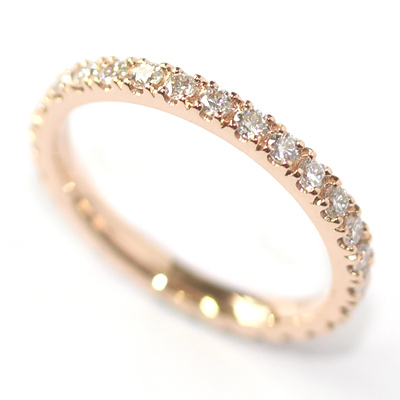 They have also been grain set into the eternity ring for an extra glistening illusion. Grain setting is when the stones are held in place by a little “grain” of metal. These are then highly polished so they too reflect any light that hits them. The customer chose for the ring to be cast in beautiful rose gold, which we think finishes the beautiful design of perfectly. 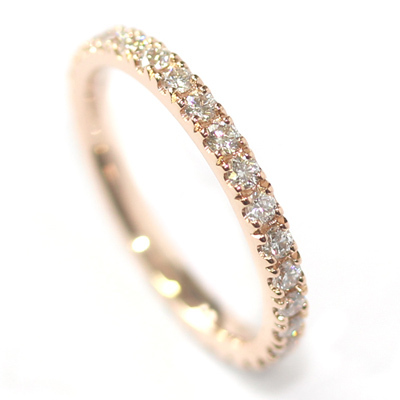 A stunning fully diamond set eternity ring.